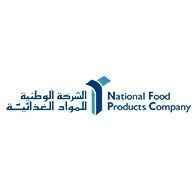 National Food Products Company (NFPC) was established three decades ago, with a strong commitment to two basic principles - quality and service. Our dedication to these principles continues today, and has given us a pre-eminent position in the region's competitive food and beverage sector, with a portfolio of brands with dominant positions and household-name status in the market. NFPC was founded in 1971, with the establishment of a dairy production facility in Abu Dhabi - this is where MILCO yogurts are produced even today. Long life milk and juices were added to the NFPC portfolio a decade later in 1981, and the brand LACNOR was established, and is currently one of the leaders in the long life juice category. In a revolutionary move, in 1984 the OASIS 5 gallon business was initiated, establishing the trend of bulk water bottles and delivery. &nbsp;With a leading share in the Home and Office delivery sector in the UAE, Oasis 5 gallon continues to be one of the greatest success stories in the UAE water category. In 1997, Oasis Water extended into the PET water bottle category with smaller packs, varying from 330ml to 1.5 liter bottles. Finally in 2005, &nbsp;Oasis Water expanded its portfolio and reached out to a specific target audience by introducing Blu Sparkling Water. This water was positioned as a healthier alternative to carbonated soft drinks as it has no calories, no sugar and no preservatives. <BR><BR>NFPC is a market led organization that constantly strives to understand consumer insights and trends and act upon the opportunities that exist. Fulfilling the consumers' requirements are considered crucial for the company's growth and success. By following these strategies, coupled with our commitment to quality and services, we have a sound reputation in the market. We are now positioned to tackle our next mission: international leadership.